Eco Trails Kerala has exclusively joined up with EssentialTravel.co.uk- one of the UK’s leading travel essentials providers to get you the best deals on your travel insurance, airport parking and airport hotels. We have negotiated the most comprehensive travel insurance polices at the most competitive prices. Up to £10,000,000 for Emergency medical expenses including repatriation. Personal liability cover up to £2,000,000. 24 hour emergency medical assistance help line. 4 levels of cover to choose from to suit your personal requirements. With our UK Travel extras feature you can find excellent value travel insurance from one of the highest rated insurance companies in the UK, but also they offer much more than this, you can book airport parking, which is a more convenient way of getting to the airport than relying on your local taxi services. Within this feature you can also find out why its a good idea to book an Airport hotel, to save the mad early morning dash to your local airport. You can get everything from family friendly rooms to business class rooms with all the extras you would expect. 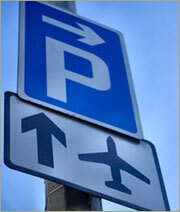 Essentialtravel.co.uk offer a wide range of car parks at all the UK’s major airports. From on airport parking for the greatest convenience, off airport parking for the best prices and meet and greet airport parking for that VIP service. Their prices are the cheapest you will find - pre-book your airport parking with essentialtravel.co.uk today and you will save around 60% compared to the car park turn up on the day rate. Click here to book Heathrow parking, Gatwick parking or Manchester airport parking now. Avoid the stress of an early morning rush to the airport by staying in one of essentialtravel.co.uk convenient and affordable airport hotels. From family-friendly rooms to business suites – They have rooms for every type of traveller, available at all major UK airports. Many of their hotels offer hotel and parking packages, with an overnight stay and eight days parking costing from as little as £50. So for the best deals, book Gatwick hotels with parking, Heathrow Hotels with Parking or Manchester Airport Hotels and Parking now. Essentialtravel.co.uk have policies to suit all types of travellers, whether you need single trip travel insurance or annual travel insurance their policies include winter sports, family travel, golf holidays, children's insurance and backpacker travel insurance polices. What’s more they offer specialised cover for almost every sport going, from scuba diving travel insurance, white water rafting, ski insurance and even bungee jumping! A valid visa is required by British passport holders prior to travelling to Kerala. For the full and most up to date information regarding visa requirements, please visit the Web pages of the Indian High Commission (www.hcilondon.in) . Please also note that the Indian authorities will not permit Indian passport holders to travel on Charter Flights. Original passport with at least 6 months of validity. Tel: 0207 6323149 / 0207 632 3152. 20 Augusta Street, Jewellery Quarter, Hockley, Birmingham, B18 6JL. 17 Rutland Square, Edinburgh, EH1 2BB.